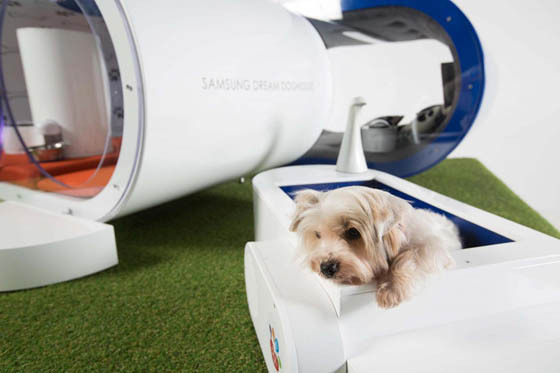 Costing a grand $30,600 USD and taking six weeks to produce, the Samsung “dream doghouse” is a one-off design. 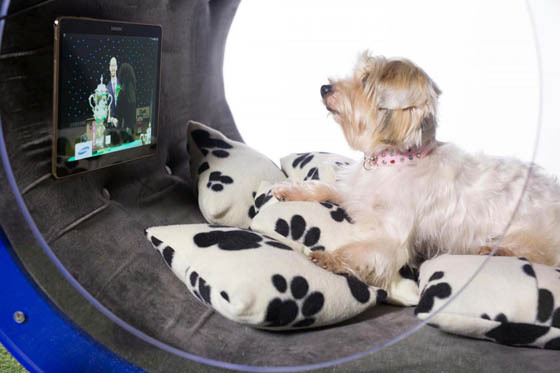 Modeled by architects to create the most suitable and luxurious exterior and interior as possible, it is aimed for pampered pooches who can enjoy two indoor living areas – one for rest and relaxation, and the other for dining and entertainment. 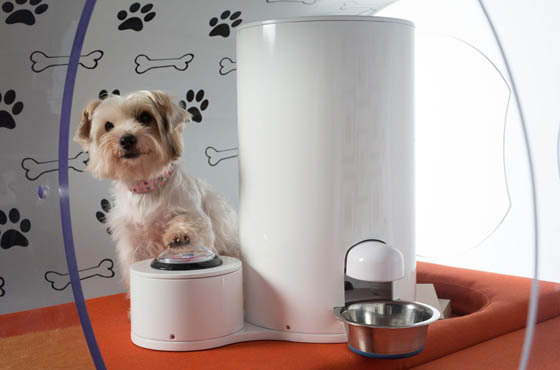 The inside features a “push-to-woof” call bell, themed wallpaper, framed portraits of family and friends, a contemporary skylight and even a operational snack dispenser. 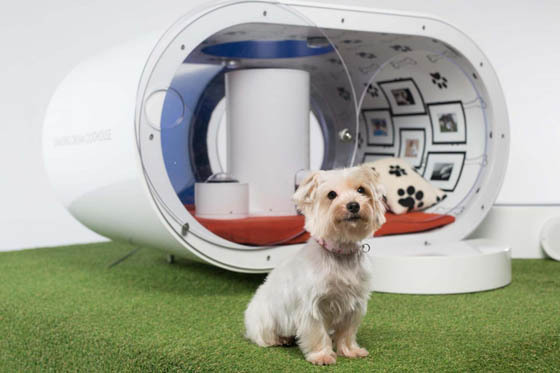 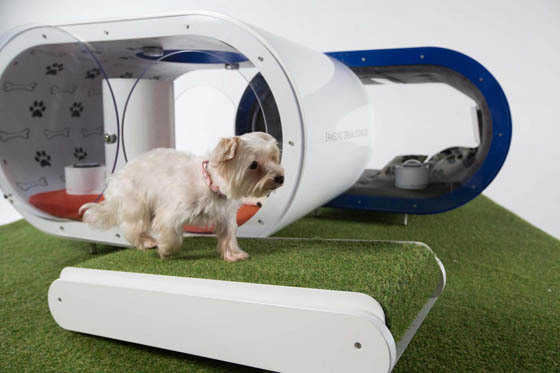 On the outside area, the pet can use a specifically designed treadmill and a hot-tub spa. 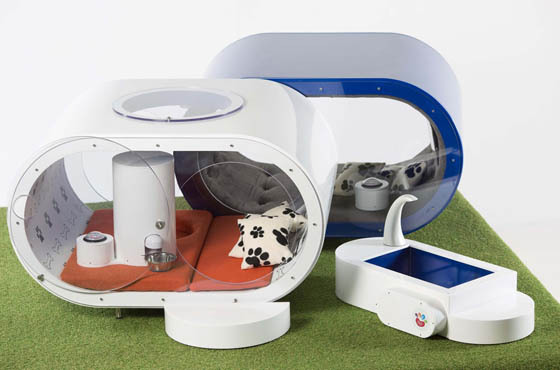 Honestly, I have no words for this doghouse, but I am definitely sure it is not something for every dog.